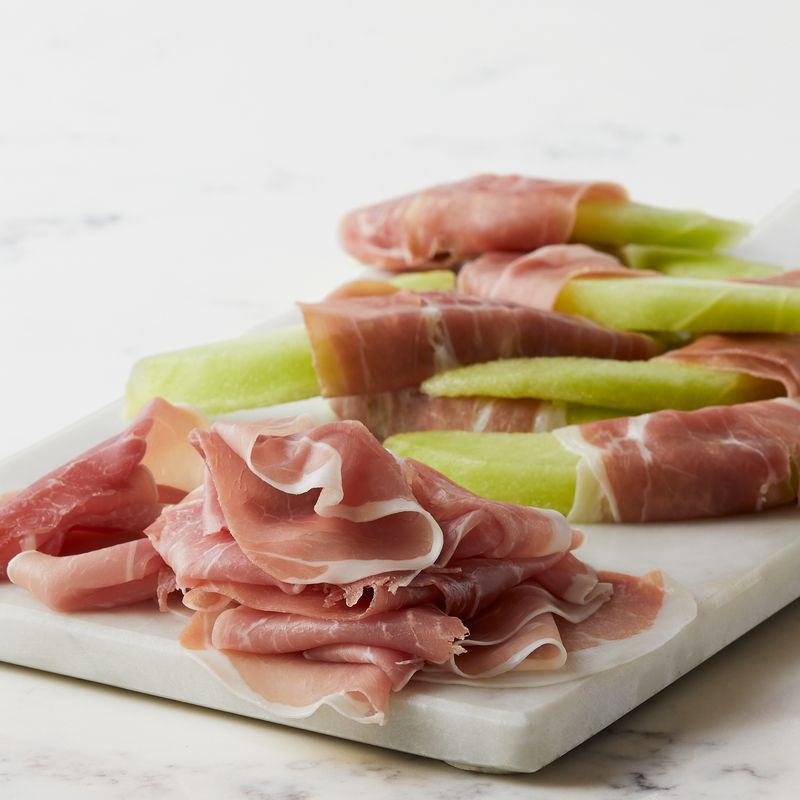 This Italian-style premium pork prosciutto is slow-cured and dried, then sliced thin for a wonderful addition to any charcuterie board. It pairs nicely with a slice of fresh melon for a complex, salty-sweet flavor. Add a glass of a acidic, slightly fruity wine like Rosé or Riesling, for a delicious experience.